Holistic nutrition involves conscious decision making of food choices that serve to promote overall well-being and not hinder it. Consider that what entices us to eat, much of the time, is an unconscious reason such as craving something or purely for what it tastes like. We must remember that what we choose to ingest has a positive or negative effect on the body as well as the mind, emotions and spirit. We are now living in an era that recognizes the substantial importance of nutrition, making it much easier for us to make healthy dietary choices. Understanding how nutrition enhances overall wellness has become the standard in the modern world and healthy food has become faster and more convenient. Fortunately this doesn’t appear to be a trending fad that is going away and due to increased market competition and consumer demand the cost factors associated with affording healthy nutrition have been somewhat alleviated. You can get almost any type of healthy organic food you seek these days at restaurants, grocery stores and local farmers markets. A widening demographic of people seek out whole natural food options that they know are good for them and provide many healthy benefits. These consumers had become literally sick and tired of being poisoned by shameless food profiteers putting dollar signs in front of public health. We have become aware that synthetic chemicals such as pesticides, GMOs and preservatives found in foods wreak havoc on our collective health. Thankfully food companies with a conscience continue to sprout up left and right forcing the old paradigm food industry to conform or lose their precious profits. We are seeing items like an acai bowl replace the #4 combo meal as the lunch of choice and a mixed berry smoothie instead of a soda. 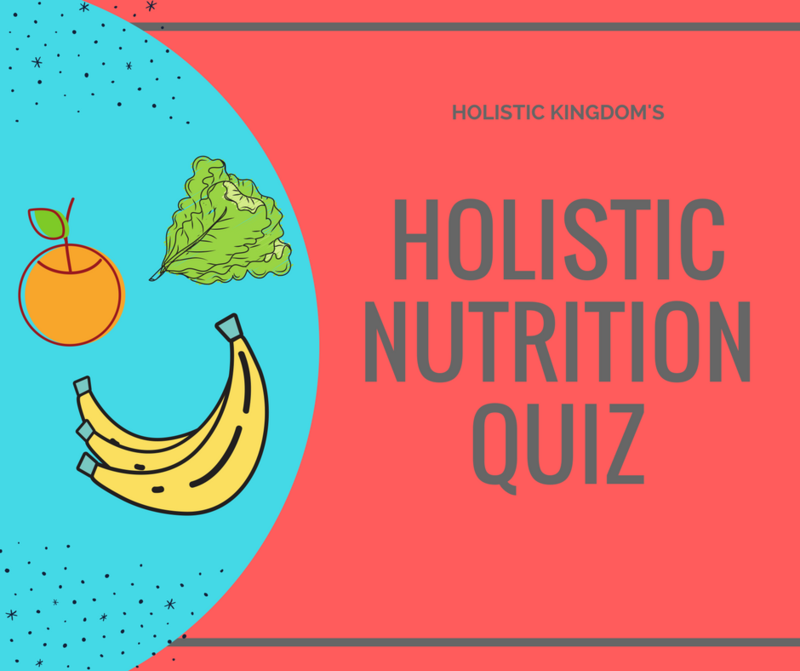 Incorporating holistic nutrition principles involves gaining knowledge about food choices and how it aligns with your individual biological makeup. We all have different biochemistry so a dietary strategy that may work for one person may not work for another. The core of practicing holistic nutrition involves monitoring the dietary intake ratios of vitamins, minerals, proteins, carbs, fats and calories through meal planning and herbal supplementation. Making special note to understand that this ratio can vary greatly from individual to individual. You should focus on nutrition for your whole being that energizes and helps maintain optimal weight. Understand the concept and impact of the gut microbiome and the balance of gut flora that science is proving has a profound impact on nutrient absorption and food cravings. To begin applying the principles of holistic nutrition it is important to first understand that this is not a ‘fad diet’ that lasts for a specific amount of time. It is a lifestyle that involves viewing food as more than just sustenance but as having medicinal value that can improve overall health and help heal unwanted physical conditions. It is not always possible to get all your necessary nutrition from food alone. Herbal supplements provide another level of nutrition for optimizing wellness. Herbal supplements can be used for a variety of medicinal purposes in order to aid in specific health conditions as well. Try to use natural remedies instead of pharmaceuticals, including things like Advil and NyQuil, whenever possible. It maybe necessary to consult with a Naturopathic Physician to learn more about ways certain health conditions can be treated with herbal supplements. Know what to eat and what not to eat in general and specifically for your own unique biochemistry. Ingest only organic whole foods and organic herbal supplements whenever possible. An important rule of thumb is if it doesn’t have a label like a fruit or vegetable it is definitely natural and if it does have a label you can read it to find out it’s contents. Also you can ask yourself if ingesting a specific item will help your body or hurt your body and use your intuition and instinct to get the answer. It’s also important to do what you can to make better choices when shopping and eating out. Food preparation matters too, so you want to avoid things that are fried or microwaved. It is easy to find holistic nutrition recipes these days and there are a number of solutions available to help you make the correct choices when grocery shopping that incorporate the principles of holistic nutrition. Seek the right advice from professionals, don’t guess at your nutritional needs, meet with a certified holistic nutritionist or health coach for answers to specific questions and personalized nutritional assessments. Do some health tests that identify your unique biochemistry to make your nutrition as individualized as possible. By getting on a program that is specific to your needs you will save yourself alot of time and money. Many conscious companies in the wellness industry are providing solutions to obtain unique bio data that identify possible nutrition deficiencies as well as make diet and supplement recommendations accordingly. Ultra personalized nutrition apps and programs utilize current technologies such as algorithms, biosensors and genetic testing for pinpoint accuracy and results. Fardet, A. “Towards a more Holistic Vision of Human Nutrition to Prevent from Diet-Related Chronic diseases: the reductionist drift.” Int J Food Sci Nutr Diet 5 (2016): 1-2. Robison, Jonathan I., Karen Wolfe, and Lisa Edwards. “Holistic nutrition: nourishing the body, mind, and spirit.” Complementary health practice review 9.1 (2004): 11-20. Rustad, Claire, and Chery Smith. “Nutrition knowledge and associated behavior changes in a holistic, short-term nutrition education intervention with low-income women.” Journal of nutrition education and behavior 45.6 (2013): 490-498. Willer, Helga, Minou Yussefi, and Neil Sorensen. The world of organic agriculture: statistics and emerging trends 2008. Earthscan, 2010.